Poured from a 22 oz bomber into my nonic imperial pint glass. 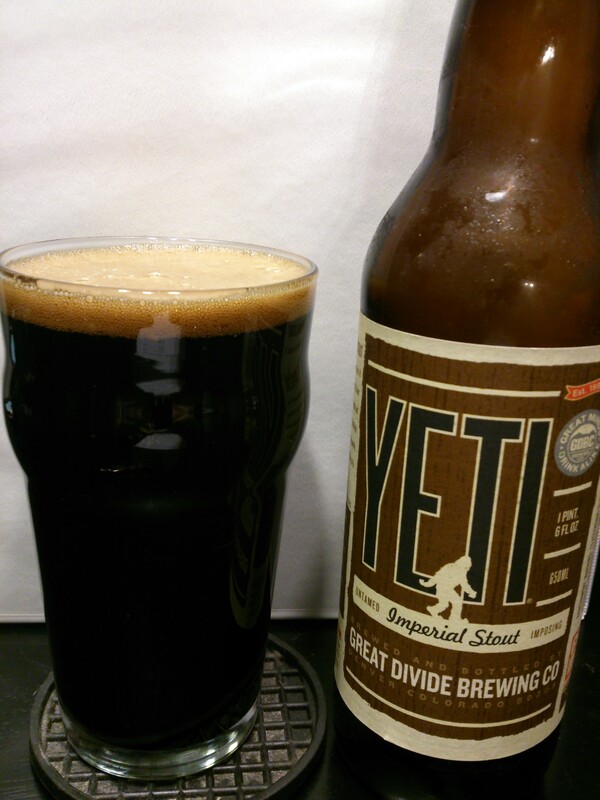 Yeti is about the blackest beer you can get, and pours a thin, dark-brown caramel-colored head which dissipates quickly. Yeti leaves a small amount of lacing. Lots of rich, roasty malts, mixed some sweet chocolate and toffee scents. There are undertones of dark fruit, and an oaky/vanilla aroma. The big, sweet, roasty, chocolaty malts lead to dark-fruit hops. The aftertaste of sweet chocolate/bitter dark fruits coat the mouth in a pleasantly bittersweet way. 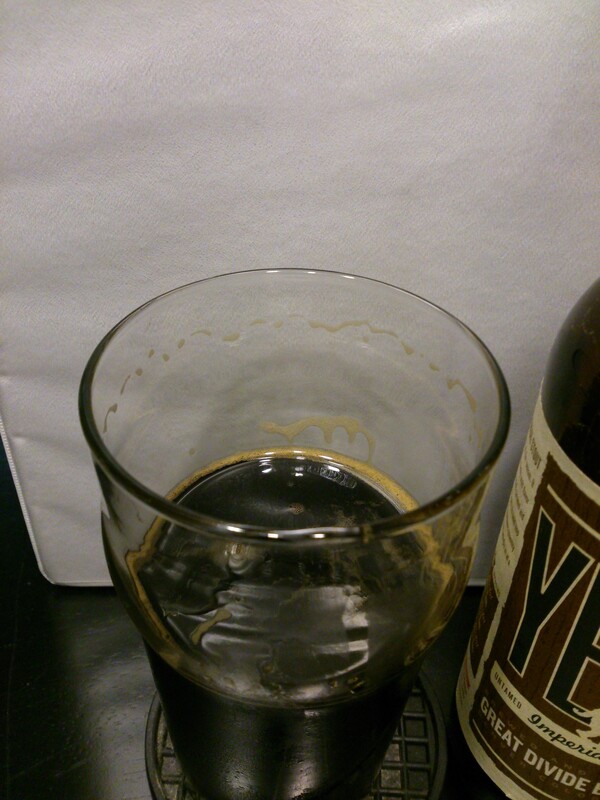 There is a bit of alcohol burn present, but these big beers are really desensitizing me to anything below 10% ABV. There are some trace flavors of toffee and caramel as described, and they compliment the brew quite well. 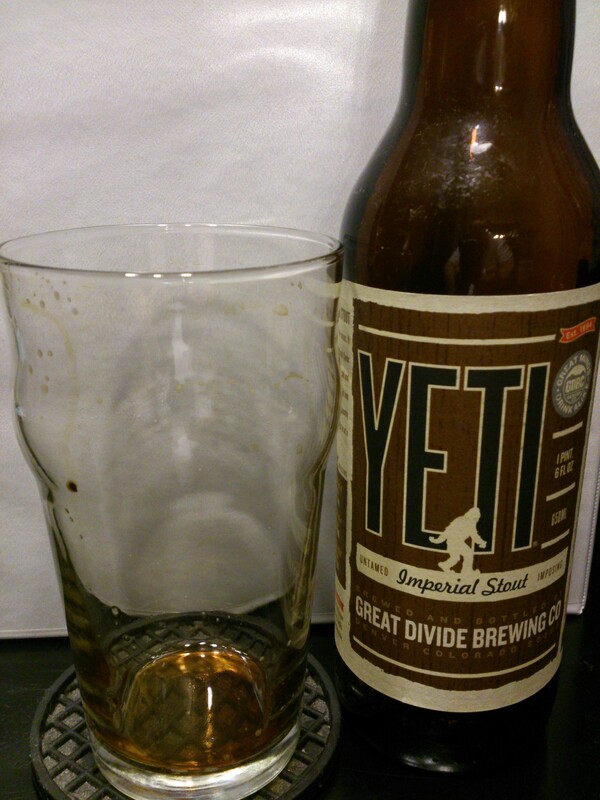 Yeti really excels at pairing its big, sweet, roasted malts with a generous amount of hops. The flavors are bold and tasty, and each swig leaves an experience in your mouth begging to be savored. 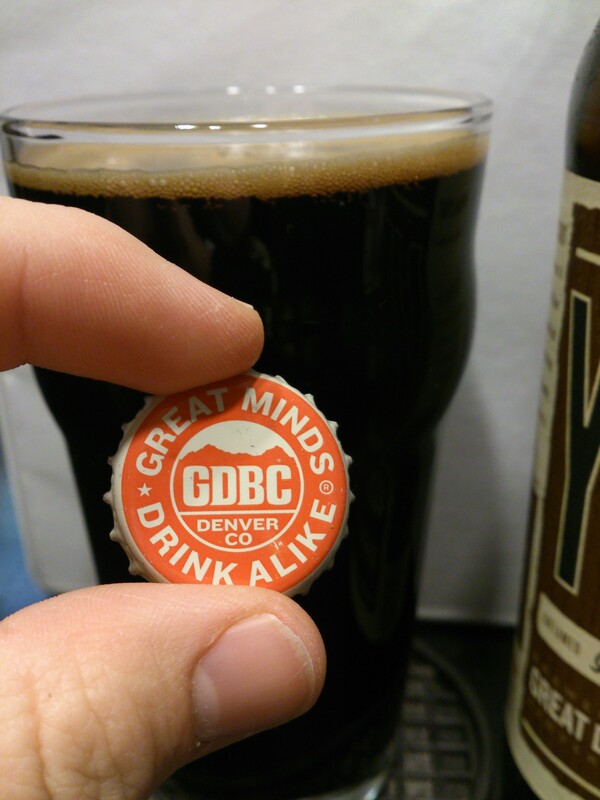 A very solid example of an Imperial Stout. 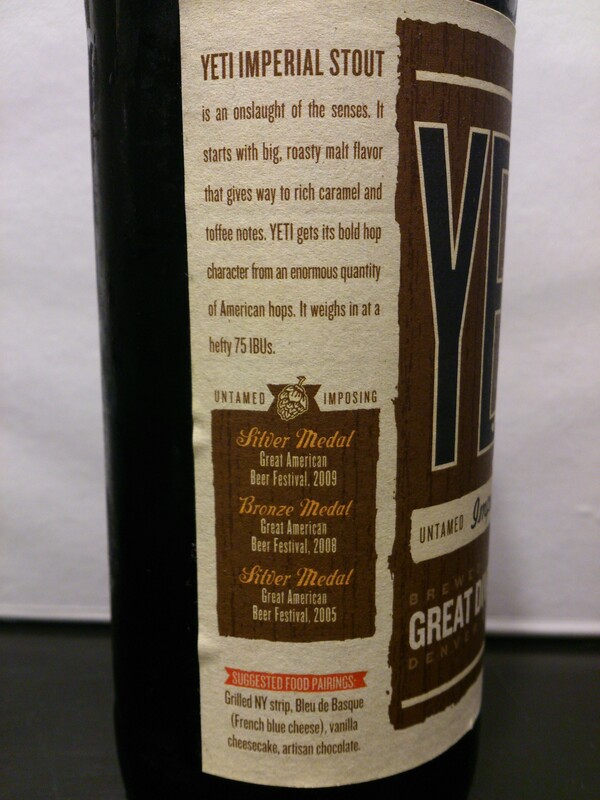 Yeti is definitely for those who enjoy a big, malty, beast of a beer. 8.5/10. 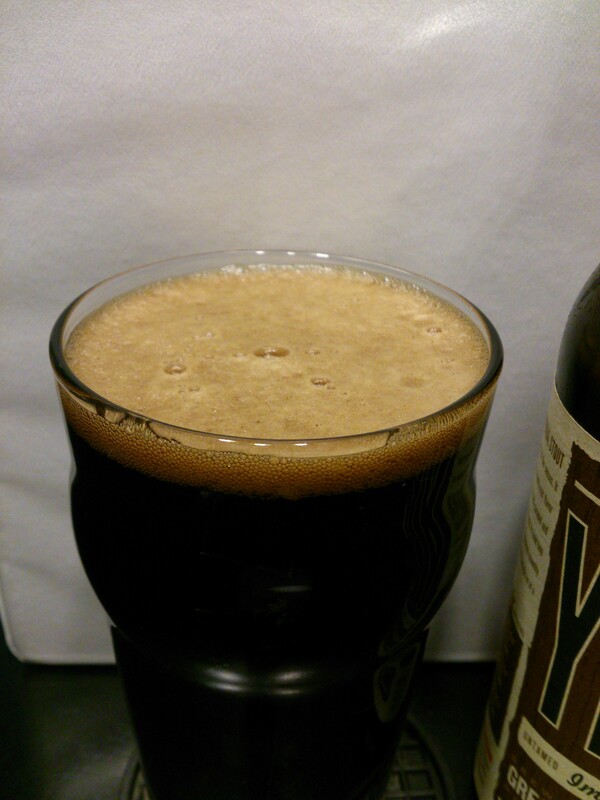 Pingback: Beer – #135 – Lagunitas – Imperial Stout | A life just as ordinary. 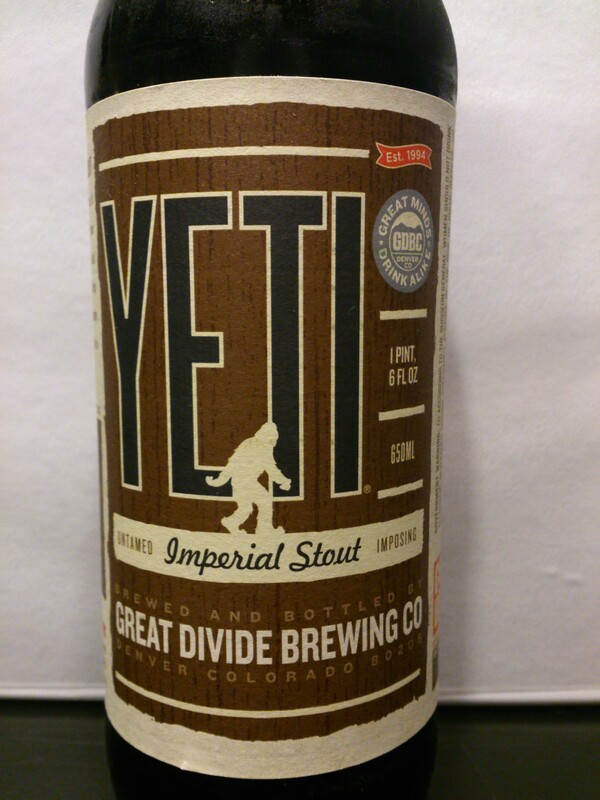 Pingback: Beer – #234 – Great Divide – Yeti Imperial Stout | A life just as ordinary. I enjoyed this, but not as much as I thought I might have, I did have it after I had a very good Stout though, I may have to go back to this. It was one of my earlier reviews. I remember being wowed at the time, but my palate has evolved quite a bit in the last year. I probably began reviewing beer too early on in my craft beer life, as some of my early reviews are a little rough. Unfortunately Great Divide doesn’t distribute where I live, so a follow-up isn’t going to likely to happen any time soon.